Twelve-year-old Lexi Brown has cancer, and she recently spent some time at the Mattel Children’s Hospital UCLA in California. 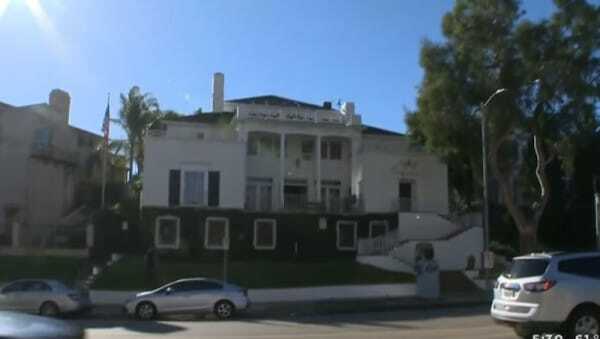 Her hospital room faced one of the massive frat houses on UCLA’s fraternity row. To pass the time and have a little fun, Lexi and her mom put a sign in the window asking for a pizza delivery, not thinking it would lead to something so incredible. The members of the Sigma Alpha Epsilon house heard about the sign, so they walked across the street. Not only did they bring pizza, but they also brought a bouquet of roses and a guitar. Here was a bunch of 20-something frat guys, taking time out of their day to play music for a sick little girl. Lexi’s mom, Lisa, was touched to tears. The surprises didn’t end there. 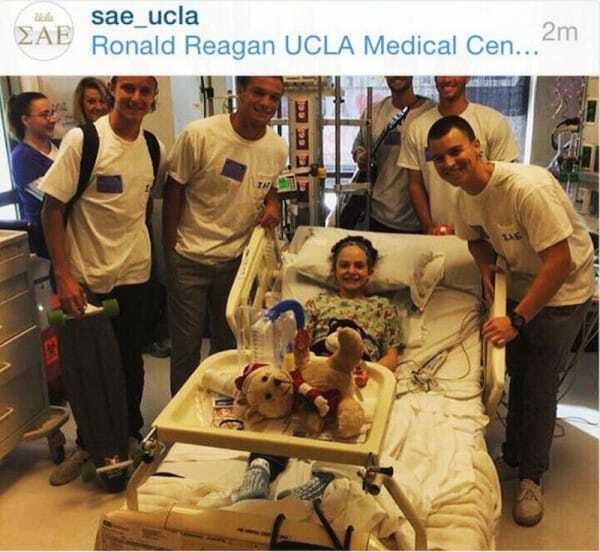 Lexi struck up a friendship with the SAE fraternity. The guys arranged for all sorts of exciting visits for Lexi, from the UCLA football team to women’s tennis players. 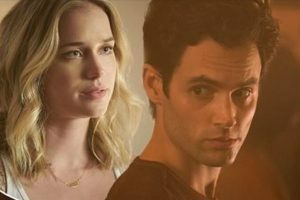 But Lexi’s newfound popularity didn’t stop the frat brothers from continuing to show up at her hospital bed — to play cards, to bring her a stuffed animal, or to simply sit and talk. But one night came the clincher. Lexi and her parents peeked out the hospital window and made a stunning discovery. Twelve-year-old Lexi Brown has a sarcoma, and cancer has spread to her lungs. She was recently airlifted to the Mattel Children’s Hospital UCLA in California. One day, to pass the time and take their mind off things, Lexi and her mom posted a note on her hospital window asking for a pizza delivery. 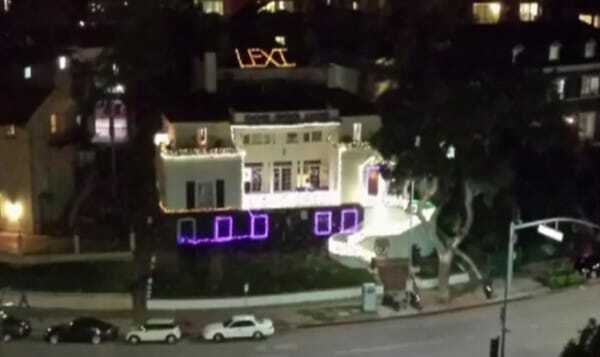 Lexi’s hospital window faced the Sigma Alpha Epsilon frat house on UCLA’s fraternity row. When the brothers heard about Lexi’s delicious request, they decided to walk over with a pizza. They also brought a dozen red roses and a guitar. For the next 30 minutes, the frat brothers serenaded Lexi as she lay in her hospital bed — and a beautiful friendship began to form. The brothers began visiting Lexi on a regular basis. Some nights, the hospital would break its visitation rules to allow them to stay with Lexi until midnight. 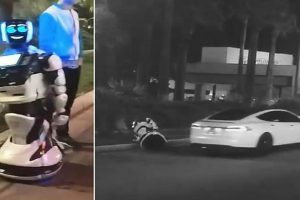 They brought gifts, they played games, and they forged an incredible bond. 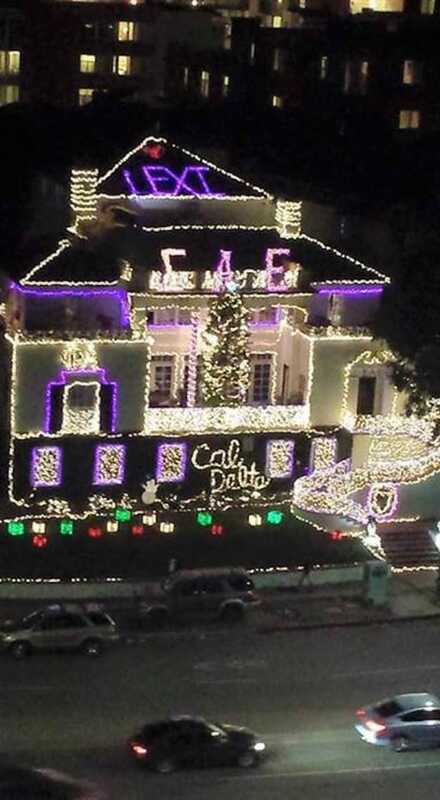 Every year, the fraternity decorates the SAE frat house for the holidays. This year, the brothers surprised Lexi by putting her name in lights on the roof of their house. They added purple lights to match her favourite colour, and a flashing, beating heart. When Lexi looked out the window, her heart was filled with joy when she saw her name in lights. Lexi is back home fighting her battle with cancer, but the brothers plan on keeping the lights hung through the holiday season. 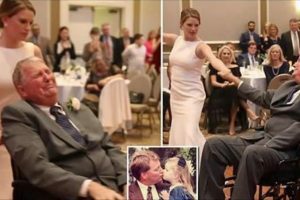 The fraternity now considers Lexi and her parents as part of their family. SAE members from across the country are now donating money to help Lexi’s family pay her hospital bills.